Mother feeding her young. 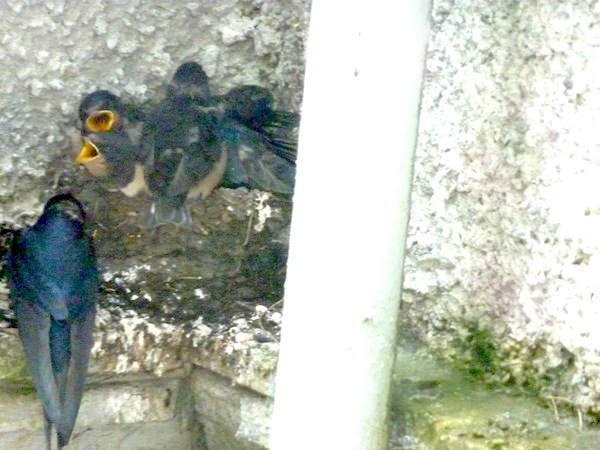 June 24th 2014,- the day before they left the nest. Bird on the ledge,- June 24 2014, before leaving next day. 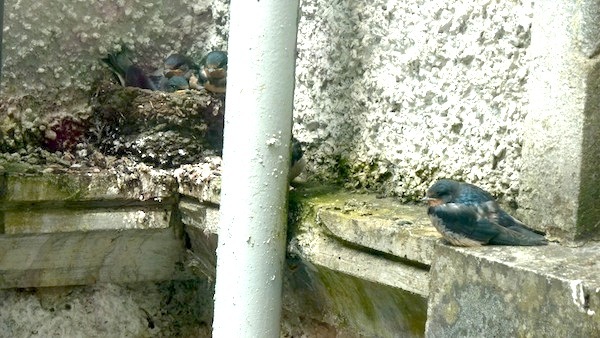 ← Swallows about to leave their nest, in Esker Monastery.